“I aspired to preach the gospel, not where Christ has already been named, that I might not build upon another man’s foundation; but as it is written, ‘They who had no news of Him shall see, and they who have not heard shall understand’” (Romans 15:20-21). The focus of the Honduras Baptist Dental Mission is evangelism and church planting. Yes, we use medical-dental ministries to reach our main objective because medicine opens doors for us to share Jesus Christ. In June of 2003, the Mission Staff in Tegucigalpa was praying for the Holy Spirit’s direction for the location where He wanted us to conduct a small Mission Staff Team to do medical-dental work. We want to work where He is at work, and in the place where He wants our teams to minister. Our Mission Staff Teams do exactly the same thing the big teams do except we minister with seven or eight member teams. The Lord led us to Empedrado, a small mountain village about 45 minutes west of Tegucigalpa. During three days of ministry we attended to the physical needs of 253 patients, filled 1,265 prescriptions, extracted 159 teeth, and gave out 259 New Testaments, Gospel portions and tracts. Moreover, 24 adults made professions of faith in Jesus Christ as their Savior. Pastor Martin at Empedrado is also the director of a school in Tegucigalpa. He took off three days of work to join us in preaching and visiting with the medical patients. 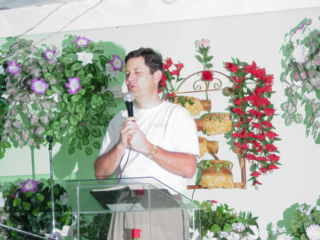 Rex Henderson was the visiting pastor from the United States. In early September 2003, our team was praying once again for the Lord’s direction to a place to minister with a Mission Staff Team near Tegucigalpa. A day or two later, Brother Martin came in to visit and shared with us how God was at work in Empedrado. “Everywhere I go to visit people say me, ‘You are the pastor who of the church with the medical caravan that came to our village.’” He went on to share with us how God was using the medical dental team to open the doors for him to share Christ. I sensed that this was where the Holy Spirit was leading us to minister with the next staff team. I asked the pastor the pastor and his church to be praying for the location where He wanted us to minister. A couple of weeks later we spent three days working at Quiscamote, about thirty minutes down the road from Empedrado where the mother church has a preaching point. Again, we saw God at work. Our medical doctor attended to 517 patients, we filled 2,356 prescriptions, extracted 512 teeth gave out 1,551 New Testaments, Gospel portions and tracts. Twenty-two adults made professions of faith in Christ. 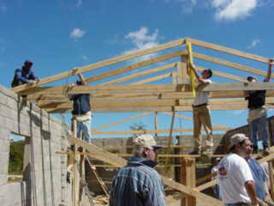 In late October we received word that a construction team from Second Baptist Church, Union City, Tennessee wanted to come and build a church in Honduras. 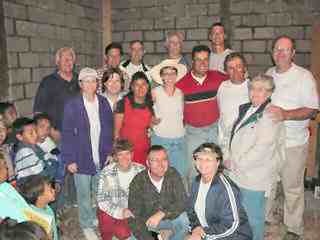 Figure 2: Team members and Honduran church members working on new building in La Brea, Honduras. I knew that people have been walking ten miles to go to worship services in Empedrado. Because of its unique location at an intersection with the main road to Tegucigalpa a new mission church was chosen at La Brea at the other end of the ten-mile road. These two churches, and the preaching point at Quismotes are the only evangelical churches ministering along this ten-mile mountain road in rural Honduras. What a glorious opportunity to share Jesus Christ with people who have never heard of God’s free saving grace through faith in Jesus Christ. Figure 3: Dedication of the new church building on Friday night. Figure 4. 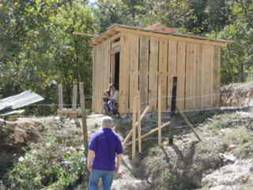 The Second Baptist Church build a small house for a woman in great physical and spiritual needs. Figure 5: Duane Irwin team from Second Baptist Church, Union City, Tennessee.